The following is a list of the most lethal battles fought by the military of the United States of America. This list shows battles, sieges and offensives where the number of U.S. soldiers killed was higher than 1000. The battles that reached that number of deaths in the field are so far limited to the American Civil War, World War I, World War II, Korean War and one battle during the Vietnam War, the Tet Offensive (January 30 to September 23, 1968). The battle that resulted in the most U.S. military deaths was the Meuse-Argonne Offensive (September 26 to November 11, 1918) where 26,277 soldiers were killed fighting against the German Empire. The bloodiest single day in American history was during the Battle of Antietam when 3,654 Union and Confederate soldiers were killed on September 17, 1862. [A 1] However, for the United States military specifically, the bloodiest single day is June 6, 1944 with 2,499 soldiers killed at the Invasion of Normandy on D-day. The origins of the United States military can be traced to the Americans' fight for independence from their former colonial power, Great Britain, in the War for independence (1775–83). The three bloodiest conflicts have been American Civil War (1861–65), World War I (1917–1918) and World War II (1941–45). Other significant conflicts involving the United States ordered by casualties include, Korean War (1950–1953), Vietnam War (1964–1973), the War in Afghanistan (2001–present) and various conflicts in the Middle East. For most of its existence, America has been involved in one or another military conflict. The term casualty in warfare can often be confusing. It often does not refer to those that are killed on the battlefield; rather, it refers to those who can no longer fight. This can include disabled by injuries, disabled by psychological trauma, captured, deserted, or missing. A casualty is just a soldier who is no longer available for the immediate battle or campaign, the major consideration in combat; the number of casualties is simply the number of members of a unit who are not available for duty. For example, during the Seven Days Battles in the American Civil War (June 25 to July 1, 1862) there were 5,228 killed, 23,824 wounded and 7,007 missing or taken prisoner for a total of 36,059 casualties. [A 2] The word casualty has been used in a military context since at least 1513. In this article the numbers killed refer to those killed in action, killed by disease or someone who died from their wounds. ^ Operation VICTOR IV, the seizure of Mindanao's Zamboanga Peninsula occurred at the same time as Battle of Mindanao. ^ Ecker 2005, p. 62. Alison (Jun 14, 2016). "The Count of Pearl Harbor Deaths". VisitPearlHarbor.org. Retrieved November 7, 2017. Allen, Jonathan R. (2017). "How Many Died in the Civil War?". nellaware.com. Retrieved November 6, 2017. Corson, Captain William quoting Danny S. Parker's article 'War's Last Eruption' is Military History Magazine: Great Battles, September 1992, pp. 42–9. 3 (June 1995). Captured in Hatten: Captain William Corson's speech (Speech). Retrieved November 13, 2017. Chant, Christopher (2016). "Operation Undertone". codenames.info. Retrieved November 22, 2017. D-Day Museum and Overlord Embroidery (2017). "D-Day and the Battle of Normandy: Your Questions Answered". D-Day Museum and Overlord Embroidery. Retrieved November 8, 2017. Hickman, Kennedy (April 28, 2017). "Korean War: Battle of Chosin Reservoir". Thoughtco. Retrieved November 7, 2017. History.com (2017). "The Battle of Antietam". History.com. Retrieved November 8, 2017. Kelly, Martin (April 4, 2017). "American Involvement in Wars from Colonial Times to the Present". Thoughtco. Retrieved November 8, 2017. Peters, Brad & Jan Ross (2017). "History of the 300th Combat Engineers, 1943 to 1945: Germany". The WWII 300th Combat Engineers. Retrieved November 17, 2017. Ramirez, Fernando (August 9, 2017). "Historic WWII photos show gritty U.S. Marine struggle over Guam". Houston Chronicle. Retrieved November 8, 2017. Sondhaus, Lawrence (2011). World War One: The Global Revolution. Cambridge University Press. ISBN 9781107782501. Stamford Historical Society (2009). "The Stamford Historical Society Presents". Stamford Historical Society. Retrieved November 8, 2017. Surgeon General (1920). "Report of the Office of the Surgeon General". War Department Annual Reports. 1920 (1): 1106. Retrieved November 7, 2017. Traynor, John & Lisa Early, Clare Horrie (2017). "Background: Find out more about the events leading up to Truman's decision to drop the bomb". The National Archives (United Kingdom). Retrieved November 6, 2017. 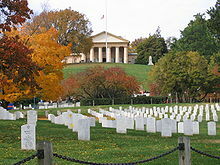 United States War Department, John Sheldon Moody, Calvin Duvall Cowles, Frederick Caryton Ainsworth, Robert N. Scott, Henry Martyn Lazelle, George Breckenridge Davis, Leslie J. Perry, Joseph William Kirkley (1886). The war of the rebellion: a compilation of the official records of the Union and Confederate armies. ; Series 1 - Volume 16 (Part I). United States Government Publishing Office.